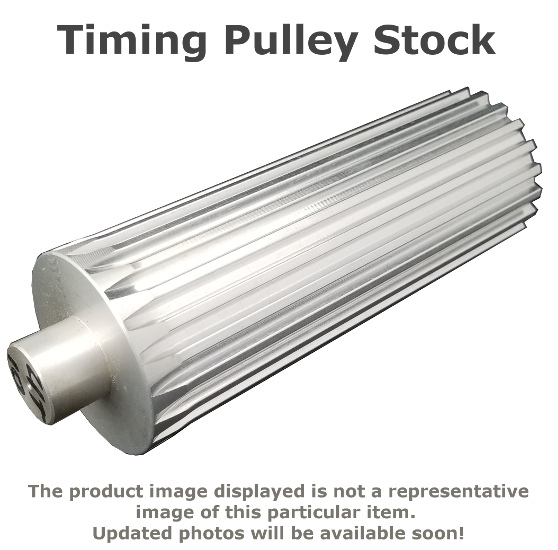 Pulley stock is designed for the developmental stages of your projects, when you know how many teeth and what profile you will be using but are not yet certain of other aspects of the project. This L profile pulley stock has an effective length of 12'' and is made of Steel and has 15 teeth. # of Teeth: Describes the number of teeth on the sprocket or timing pulley. Pitch Diameter: The diameter of the pitch used in the timing pulley. This is determined by the profile type. Stock Length: The usable length for timing pulley stock. usable length will only include areas of the pulley stock that contain fully cut teeth.